Join the European Innovation Academy in Cascais, Portugal for an intensive, fast-paced learning experience, where you will learn from venture capitalists, serial entrepreneurs, executives from Silicon Valley companies, and experts from across the globe. Berkeley students spend the first week in Porto, Portugal for a series of challenges, leadership training, and team formation built on the foundations of the Berkeley Method of Entrepreneurship. Afterwards, you will travel to Cascais to collaborate with over 60 mentors and 400 students from all over the world. Don't miss your chance to hear from highly successful entrepreneurs and gain invaluable insight into starting your own company. Whether you’re a seasoned student entrepreneur or have barely heard of Silicon Valley, EIA gives you an incredible opportunity to explore your passion and potential within the startup scene and the world of business. Wed. January 30, 2019, 6-7 p.m.
Tue. February 12, 2019, 7-8 p.m.
Get notified when the application opens and upcoming information sessions. Find more information about how to apply on the UC Berkeley Summer Abroad website. The first week of the program leverages the Berkeley Method of Entrepreneurship (BMoE) methodology to prepare students to build startups in the next phase of the program. This week focus on building leadership skills through experiential learning. 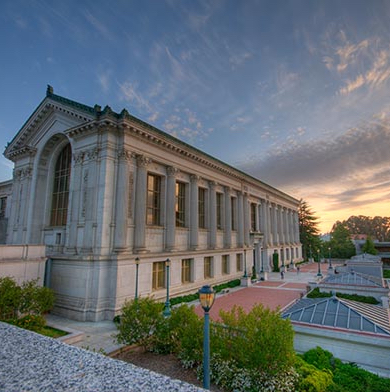 UC Berkeley Students will join the world’s largest extreme entrepreneurship program - The European Innovation Academy - Where they will develop an idea to a tech start-up in 15 days. Check EIA YouTube Channel and SCET YouTube Channel for more videos. You will automatically receive the UC Berkeley Certificate in Entrepreneurship and Technology after you complete the program.